Imagine urban public schools that mobilize their cities as learning laboratories ... that are responsive to and rooted in the cities their students call home ... that are helping city students grow into a new, diverse, powerful generation of community and environmental leaders. 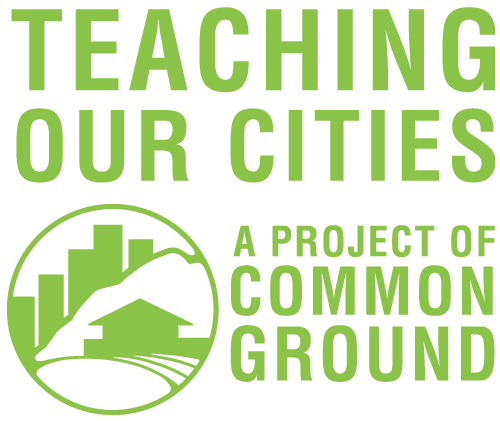 This is the vision for Teaching Our Cities — a project of Common Ground. 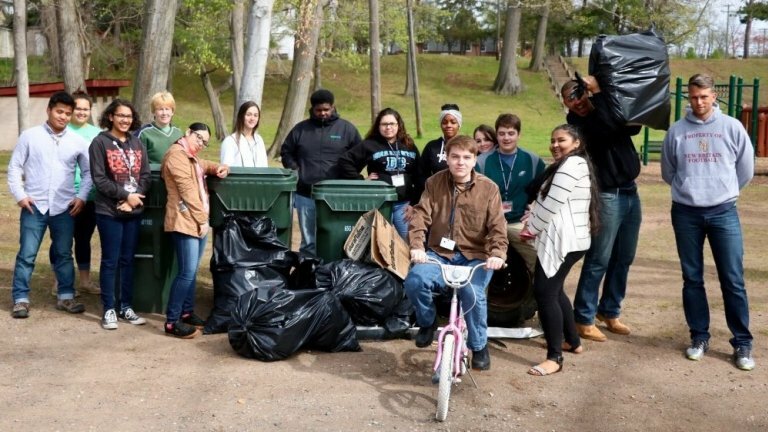 Through Teaching Our Cities, six urban environmental public high schools across the Northeast United States are launching a year-long collaboration – building our capacity to mobilize the urban environment as a learning laboratory, create urban public schools that are responsive to our cities, and grow a new, more diverse generation of environmental and community leaders. These six schools will build a community of practice – supporting each other as we build our schools’ capacity, and as we document and share our school’s practices. Learn more. What if we recognized that cities are dense with all the things that make learning possible — people with talents and passions to share, diversity of perspectives and experiences, problems to be solved and questions to be asked, organizations ready to provide the supports and opportunities our students need? What if urban public schools embraced their cities, rooted themselves in their urban environments, and turned those places into an extension of their classrooms? Learn more. Teach City brings together teams of teachers, school leaders, students, othr staff, and community partners from 6 urban public high schools in the Northeast United States. It is staffed by a team at Common Ground, one of the six partner schools. It mobilizes the expertise and capacity of a set of project advisors from across the country. Learn more.